The B1040 between Whittlesey is to be closed during the day due to roadworks. 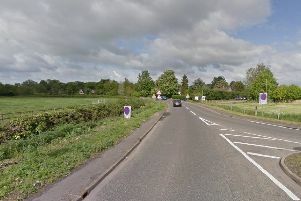 Carriageway resurfacing works are due to begin between Thorney Abbey to the bends near Toneham Lane on Wednesday, February 13 and last until the end of Thursday, February 21. The will be followed by works between North Bank and Thorney Dyke from Friday, February 22 until the end of Thursday, February 28. All the works will be completed Monday to Friday and during the hours of 9.30am to 3.30pm. The works are weather dependant, and if they cannot be carried out the road will reopen. While the road is closed a diversion route will be in place. To gain access during the works you will have to talk to the gatemen on site who will be able to advise the best way to do so. Anyone with any questions about the works should call 01733 453595.